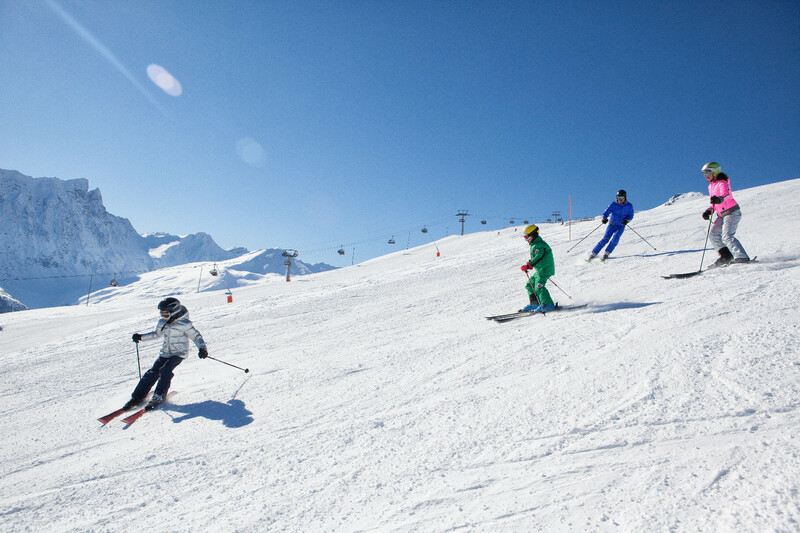 Whoever goes for skiiing-vacation in Savognin can look forward to extra wide slopes for the whole family. The tracks are well prepared and rank among of the most beautiful ones in the whole alpine area. In the skiing-area is also a big freeride-areal settled. If you don’t want to use planks but feet, there are many tracks on which you can discover the amazing alpine world. For diversion there are several funsport gadgets, which can be tested at a special track. Furthermore there´s a chute. Incidentally, children up to ten years drive for free at Savognin! The season card applies now for 105 installations and 324 slope kilometres. Now you can discover the slopes at eight skiing-areas in Austria (Hochkar, HochKössen, Hinterstoder, Wurzeralm, Hochficht, Kasberg-Grünau, Ötscher and Grossglockner Region Heiligenblut). Restaurants, shops, banks, post office, museum, gas stations, and a nightclub.